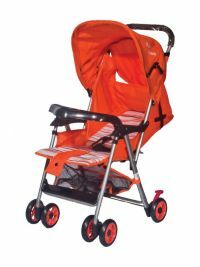 This Mee Mee Baby Pram is a lightweight and handy pram for babies. This is a comfortable and user friendly pram. As a new parent have you been worrying about how to move about together as a family? 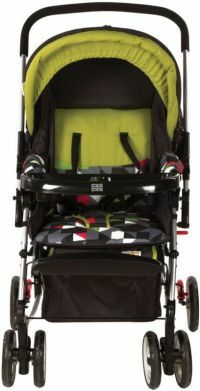 The light-weight pram red is the perfect choice for you! 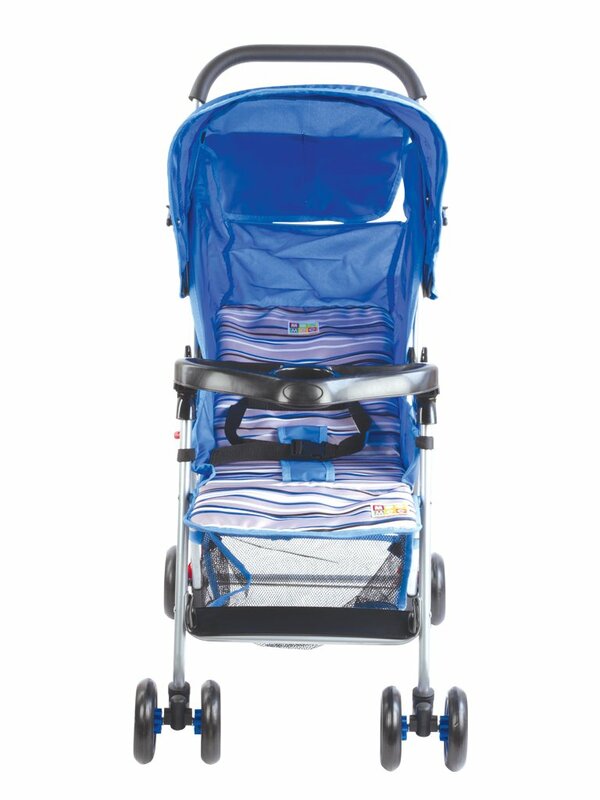 The baby pram has six wheels, which means that it is extremely stable and moves smoothly. 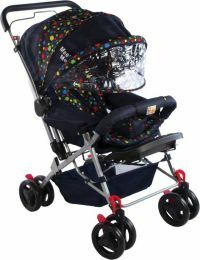 The rear wheels are also affixed with a locking system which means that you need not worry about the pram rolling away from you. The front four wheels can swivel a full 360 degrees. The wheels are water resistant and are suitable for rough and wet roads. The frame of the pram is easy to clean with a damp cloth and some soap. The seat, storage tray and hood are all made of netted fabric. 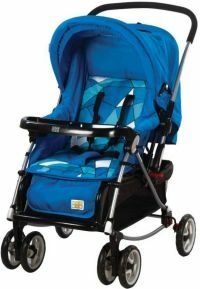 The canopy can also be locked into place to keep your child protected from the weather. Canopy can be locked in place. Has a detachable feeding tray with a single glass holder that lets the child enjoy meals and drinks while being seated on the pram. Back wheels have brakes for safety and front wheels have a 360* rotating function for easy maneuvering. Has an adjustable footrest that can be locked. Seat, hood and storage are made with a fully netted fabric. 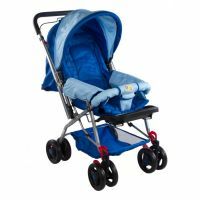 To Recieve updates and possible rewards for Mee Mee MM-39Pram Blue please sign in. To Recieve updates and possible rewards for Strollers & Prams please sign in.